Paige is stuck in a job she hates, with high school students who aren’t too fond of her, when things get even worse. A colleague is found dead, and suddenly everyone is a suspect. I haven’t read many of this type of mystery, but I’ve enjoyed all that I’ve read. 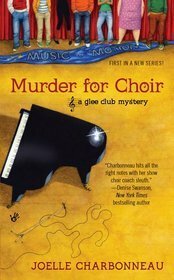 I am wondering, though, if there is some formula somewhere that requires a flaky old aunt/grandmother to encourage the heroine to risk her fool neck by trying to solve a murder? At least in this book, the aunt was less annoying than in some of the others I’ve read. This book is well-written and funny. I loved Paige’s battles with her aunt’s dogs. The mystery and romance are both well-done. I wasn’t sure until the very end what was going to happen with either aspect. It looks like I’ve been sucked into another series. I can’t wait to see what happens to Paige next. 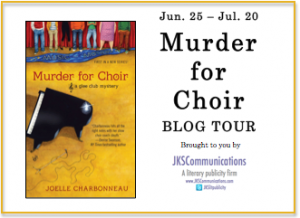 This entry was posted in Blog Tour, Review and tagged Author Joelle Charbonneau, humor, mystery by Amanda Beaty. Bookmark the permalink.